My first bake of 2016, and wow I enjoyed it. When baking I like to keep things quite traditional, without really branching into this new world of fusion cooking. As it is a new year, I wanted to try something a little different. I was craving so badly a really dark chocolatey cake, however I didn’t want the icing as I am attempting to be a little healthier. Obviously then, this turned into a loaf cake, which often is not iced. 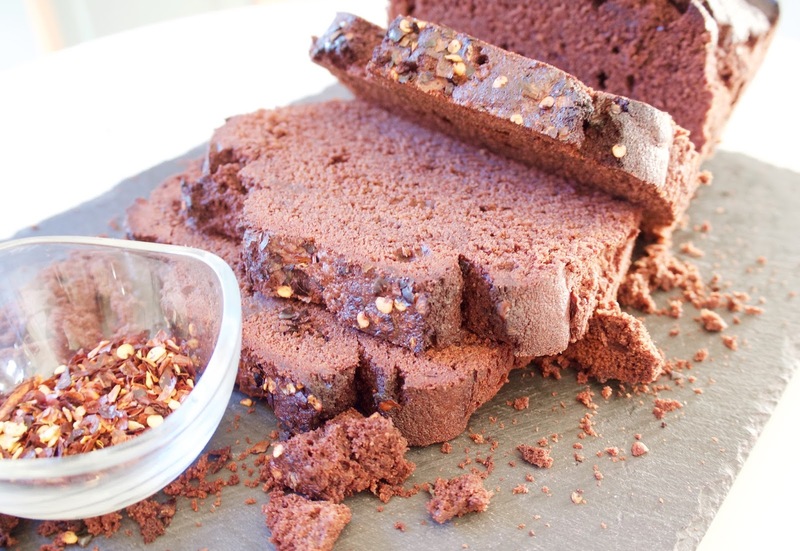 I decided to add a little something to the cake to give it a kick – what better than chilli? To do this I used chilli powder and ginger within the mixture itself, and chilli flakes on top for a not so frequent boost of flavour. Find the gorgeous recipe below. Start by pre-heating your oven to 220 degrees (200 fan). Line and grease a loaf tin with baking paper, ensuring it is evenly in all the corners. 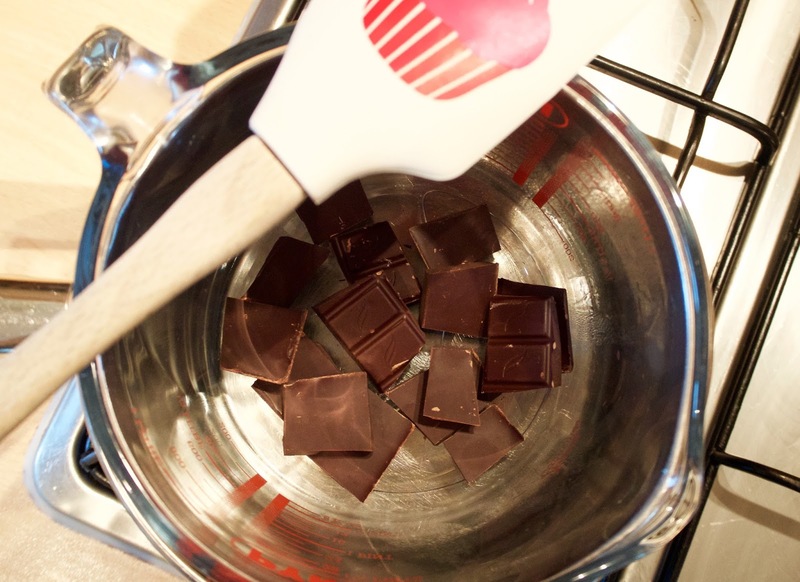 Add a little water into a small saucepan, and break the dark chocolate up into a bowl that will be heated later on. The bowl should not touch the water in the pan. 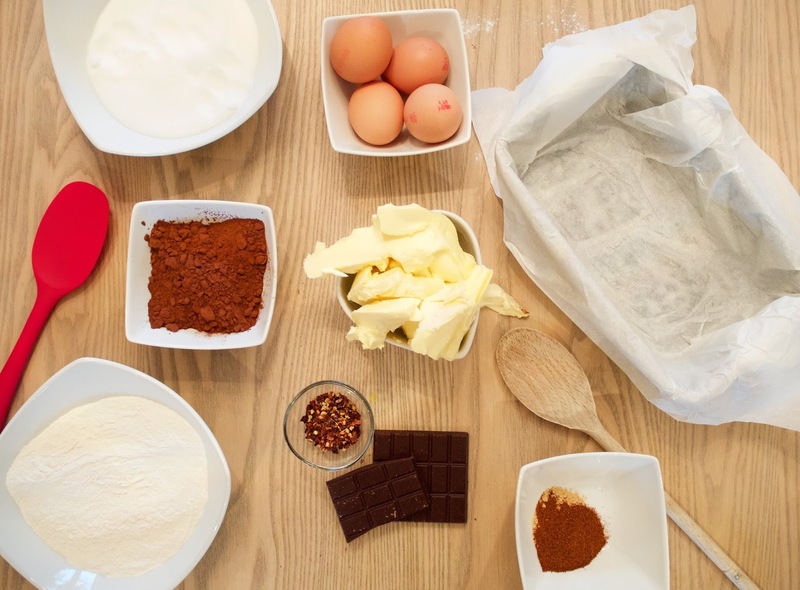 Start by beating the sugar and butter in a mixing bowl until creamy. Then add the eggs and mix in until the mixture has changed to a more yellow colour and is once again very light. Using a sieve, add the flour, cocoa powder, chilli powder and ground ginger. Once in the bowl, fold into the mixture lightly. Make sure all the edges are scraped, and the mixture is combined throughout. 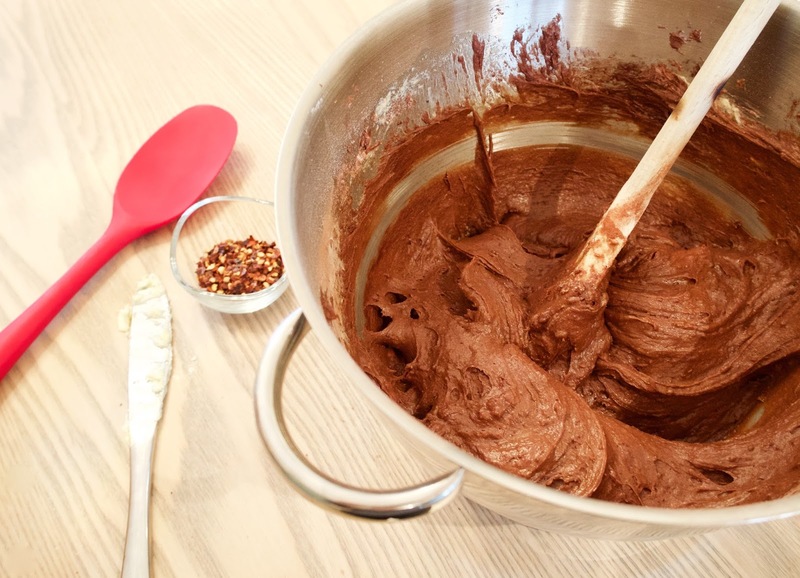 Melt your dark chocolate until glossy. As soon as all the lumps have gone, remove from the heat and gently stir. It needs to cool down slightly before being added to the mixture. To speed up this process you can blow as you stir to add air to the chocolate. I wouldn’t advise adding cold water. 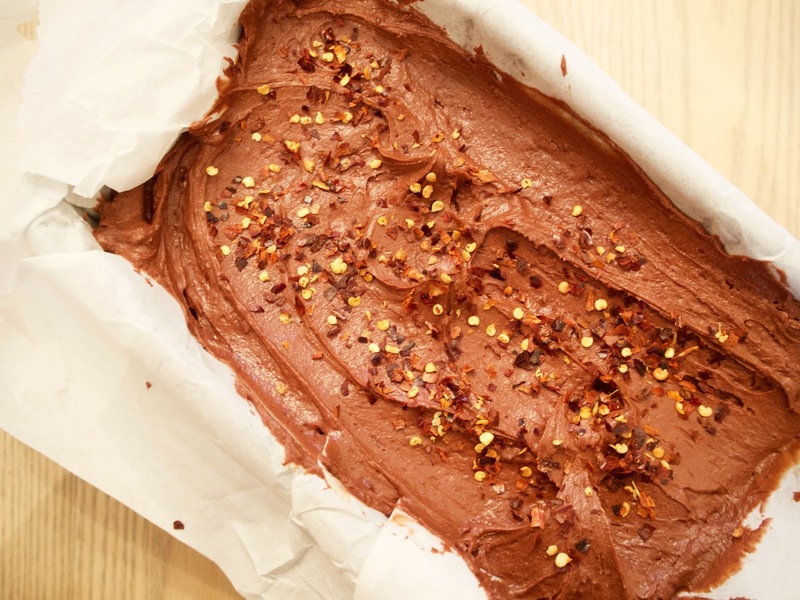 Fill the loaf tin with the cake mixture and evenly spread it all out. A rubber spatula is the best thing to use, as it makes sure that nothing goes to waste. Sprinkle chilli flakes moderately over the top. Place in the oven for about an hour. Keep an eye on this cake as sometimes it can start to catch on the top. If it does, about half way through baking, place some more baking paper over the top. Use a skewer to test the cake. If it is clear then the cake is cooked. 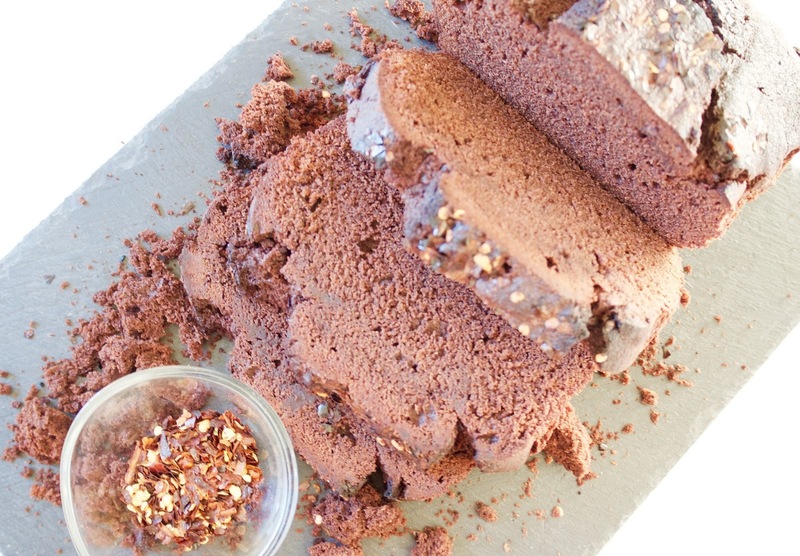 Tip* – when testing the cake, remove it from the oven and close the oven door. If you don’t do this a lot of the heat will be lost, and when putting the cake back in it may sink.